To say I am a little apprehensive about the impending Sunday fixture is an understatement, to the point I can barely bring myself to mention the team name. An irrational fear? A superstition? Perhaps. But I just feel they ‘owe us one’. While Norwich’s start to the season was bleak, those I dare not mention hit the ground running and quickly gained a nine point lead, which led to us being on the receiving end of a revival of the infamous “mind the gap” picture. Back then we had nothing to brag about after seeing our own side getting spanked 4-0 at Millwall, with our defence a shambles and the disjointed midfield leaving us wide open for counter attacks. After conceding the players frankly looked like ’rabbits in headlights’ and seemed to combust. The outlook was gloomy, just like the results, and we certainly had earned the Along Came Norwich tag. The international break couldn’t have come at a better time and allowed the players and coach to dust themselves down and realise the current system was not working. The board also acted quickly in the last few days of the transfer window and did their bit to address the glaring defensive issue. In truth I’m not sure many of us were looking forward to September and I’m sure none of us expected the U-turn in results, especially without using our shiny new signing. But what a month it turned out to be in both league and cup: five wins, four away from home, eight unbeaten, a few lucky decisions, some tactical mind games, some old fashioned resilience and fighting to the last kick of the game. We certainly bucked the ACN™ trend. So quietly and with dignity, while that lot down the road had a less successful month, we crept up and overtook them, leaving us a point and two positions ahead in the league table. Surely this should lead us confidently into our next game? Morale must be good, the defence certainly is better and they haven’t beaten us since that 2009 3-2 win at their place. I just wish I could shake this feeling off…. My first visit to you-know-where was in 1997. I went with a few friends, we lost 2-0 and making our own journey to and from wasn’t too bad – unlike the result! We managed to keep under the radar and even stayed after the game in the town for a few drinks. This was very different to my second visit in 1998 when we won 0-1 courtesy of a Craig Bellamy goal. I was told not to wear my colours and turned up to the train station with everyone in full song and already on the beers. It was certainly an atmosphere of different proportions and felt more like going into battle than a football game. Drinks were continuing to flow on the train and a stream of us went into the Drum and Monkey for the habitual pre match drinks. For those of you that have frequented this establishment you will know it was the designated away pub back then and was not the most salubrious of venues. It was Only Fools and Horses crossed with a spit and sawdust saloon, which was appropriate given the beer throwing and over-zealous actions of some. The journey to the ground was not for the faint-hearted and after the win the journey back to the station was even worse. On my third visit I took my brave son to his first away game (imagine that as your first experience) in April 2009. I decided that Club Canary was the safest option after my previous encounters and having been refused entry to the away fans pub we found ourselves (my son proudly in his colours) at a McDonald’s in town. To say my son felt nervous was another understatement. As for the game itself, as it transpired it was the last time we were beaten by the team in blue and white. It was a scrappy affair with two penalties and four yellow cards between us but what followed was worse with that unfortunate relegation to League One epitomising our terrible season. Fortunately it didn’t put my son off and we were to return two seasons later with for that triumphant 5-1 away win, which followed the home victory of 4-1. One of my favourite experiences as a Norwich fan was being in the front row when Holty came over to celebrate with the away fans; my son and I being prominent in the media pictures the following day. A new hero emerged over those two games in the guise of one Grant Holt and a couple of new chants emerged that still rouse the crowd to this day. With promotion to the Premier League we managed to avoid these trips down the A140 and it was definitely bitter sweet when relegated led to us not only beating them twice in the league but also kicking them aside in the 2014/15 play offs. Last season felt like wins for them and losses for us – even with both games ending in 1-1 stalemates – and I think they were tempted to add another star for their achievement. I do wonder if Daniel Farke realises the enormity of this fixture to the fans and whether the players will take on board this is a must-not-lose game. 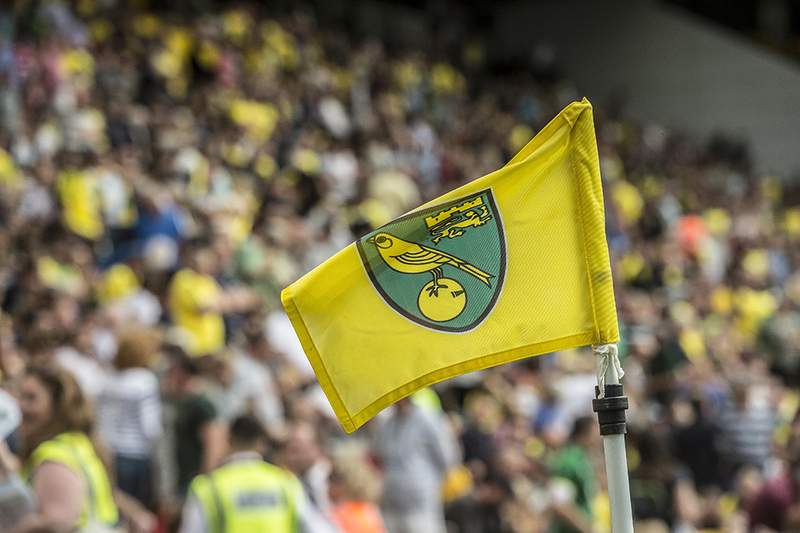 It’s not just three points at stake its pride; it’s that historic animosity towards the East Anglian side 40 miles down the road. To a few it maybe it’s just another game, three points up for grabs, but there’s no mistaking the inter-county rivalry, the shame or joy, the head held high or humiliation and hibernation. I will be heading down on Sunday with trepidation, not just because of the prospect of our eight game unbeaten run being broken, not thinking of the three points that could prove valuable later in the season, but more because I look at this game as a county cup final. I just have the feeling, and one I hope and pray doesn’t happen, that this could be their time. Perhaps I’m setting myself up for defeat, making a loss easier to bear. Let’s just hope our Head Coach and players don’t feel the same and that they’re up for the battle. With a relatively new squad most of our squad will have been unaware of the rivalry between two sets of fans before joining Norwich. Whether this will prove an advantage or disadvantage will only be revealed on Sunday. Is the Derby a distraction? Or just another game? With our good away form instead of just the normal league pressures the fact is the Old Farm Derby will hopefully not be a distraction, and the players will just focus on the task ahead. But behind all of that my big wish is that Farke and the players still appreciate how much it means to the fans. To some of us (all of us?) it’s not just another game, and if (very big if) they should deliver that win, could a new hero in yellow emerge? ?Who put the ball in the ….? Ah, the Drum and Monkey. Or the S*** and Shovel as it was also known. I only risked it once and that was more than enough for me. However, eking out that 1-0 win at beWilderwood will have done us the power of good in terms of our newer squad members getting to experience good old-fashioned British hostility at close quarters. There’ll be plenty of that on show on Sunday, that’s for sure. My biggest worry is the absence of Alex Tettey. When the barrage of long balls into our box begins (probably after about 10 minutes) Harrison Reed won’t be anything like as effective as Tettey, certainly not heightwise. Here’s hoping for another clean sheet. Good luck to all travelling Canaries. Varied experiences, on and off the pitch, much like myself Anita. It’s my least favourite away ground and I’m often left wondering why I do it. Let’s hope we’ll have plenty of purely football related debate come Sunday evening. Fine article, Anita, encapsulating the good, bad and ugly of visiting our neighbours south of the border. I have an idea on one point.. Whenever I wonder “Does Daniel Farke know…. ?”, the answer turns out to be yes. Not only does he study stats, he’s genned up on the history and culture of our league and club. He also spoke at one of the fans’ forums about his experience and love of derbies. I bet he’s well aware of the intensity of ours – and shares the feeling. A great read Anita and yes the apprehension is starting to get to me. I hsve been to many home and away derbies dating back to the 60’s, 70’s and 80’s but have had to watch from afar since due to working in far away countries. An inlaw who’s brother played for the other side one Eddie Spearritt alway rubbed it in when city lost and wouldn’t contact ne for weeks if they won. My thoughts on team selection with Tettey out why not try Hanley just in front with Trybull, I read that Houlihan could be a fit in but to me that wouldn’t help the defence it would hand the game plan to Ispshite, and I would play CJ and N O up front they will not expect that. Or Stiepermann could play there… I agree that Farke is likely to look for a taller person to fit in there, as I assume he is certainly well briefed on the likely preferred style of the opposition.